Many marketers and business owners are always looking for ways to optimize two channels for traffic and conversions: Search Engine Optimization (SEO) and social media. In fact, there is a question that has been weighing on their minds for years: Does social media have an impact on SEO? What kind of impact does social media have on SEO, and how much of an impact are we talking about? How can you align your social media and SEO efforts to get the biggest bang for your buck? 1. Social media profiles rank in search engines, too. 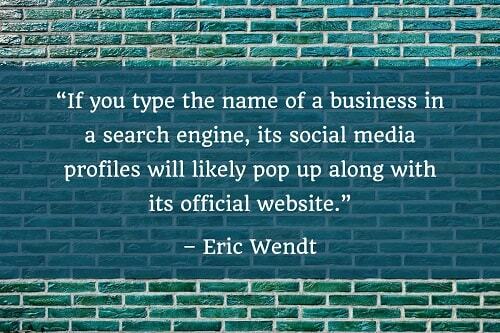 “If you type the name of a business in a search engine, its social media profiles will likely pop up along with its official website. “If a company is able to rank not only for its website, but for its social profiles as well, then it will take up valuable real estate at the top of SERPs. This can help businesses beat out potential competitors in terms of visibility. 3. Social media can drive views and engagement. 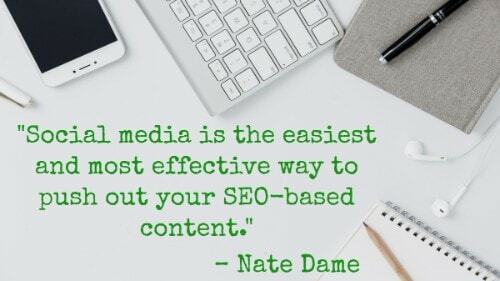 “Social media is the easiest and most effective way to push out your SEO-based content. While the incoming links from your social media shares don’t have the same impact of authentic links from high-quality sites, they can have an effect on your bounce rate and time-on-site engagement. If your content is good and people stick around to read it, those engagement metrics communicate value to search engines. 4. Facebook links are followed, so they can help more directly with rankings. “First, Google won’t count the shares or community size as a signal directly because it is way too easy to game the system. “They will crawl Facebook pages, Twitter pages, etc., to see the content and links on the page though. Just like any other HTML page online. “Now here is what is important. “Links on Twitter are nofollow. So Google will not pass link juice through the pages, but they may use the links for indexing content. 5. Tweets from high-influence users may impact search rankings. 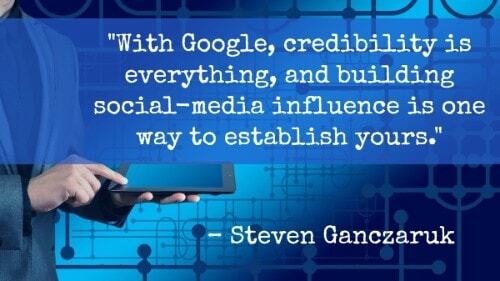 “With Google, credibility is everything, and building social-media influence is one way to establish yours. For instance, a high number of likes, shares, and followers on Facebook reveal a profile’s influence. How relevant your content is, how many people you reach with it, and whether the people engaging with you on social-media platforms have high influence themselves are all part of your authority. 6. Search engine algorithms now incorporate social data to help sniff out “bad” links. 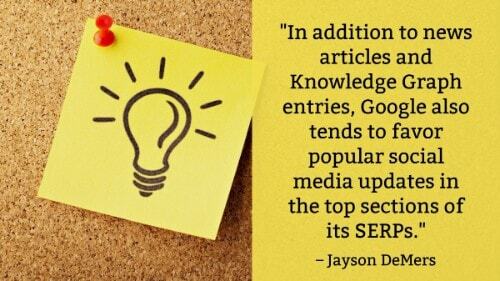 “One of the challenges search engines like Google and Bing have always tried to overcome is understanding which external links exist solely for SEO purposes and which links represent a true indication that the source content is of value to the readers. Unfortunately, 95% of links from SEO link building never bring a single new visitor to your website. 7. Social signals may even become more important to SEO over time. “Because so much sharing now takes place on major social media platforms, social signals may become as important to SEO as time on page, editorial linking, and content quality. For businesses looking to raise their search rankings, it indicates that a comprehensive social media strategy might be in order – in addition to all of the usual SEO tactics. In other words, strategies designed to increase social media engagement can also raise your website’s search engine ranking. Post daily: Keep your brand at the top of social media news feeds. Use images: Images greatly increase interaction rates for all social media types. Listen: Hear what people are saying about your brand and respond to critique in a constructive and positive way. Monitor: There are several free social media marketing apps which track shares, re-tweets, likes, and keywords associated with your brand. Contests: contests and giveaways are a great way to increase interest in your brand. Partnerships: Share links and produce original content with other popular brands. Cover all the social media bases: Produce content for all of the top social media sites. 8. Give your audience what they want to boost engagement. “Above all else, Facebook’s algorithm is designed to show people more of the stuff they like. That’s why it’s important to know what your audience wants and how to give it to them. 9. Conduct outreach to industry thought leaders and influencers to earn social links. 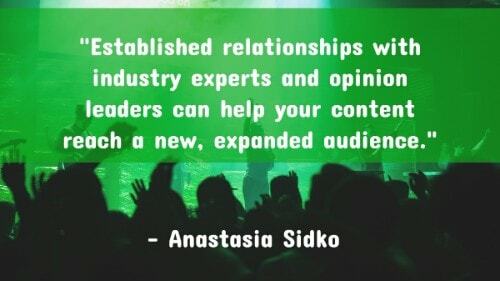 “Established relationships with industry experts and opinion leaders can help your content reach a new, expanded audience. Make your content easy to share – ensure you’ve added social sharing buttons on your website. You can also add buttons for sharing specific types of content like videos, pictures, e-books, etc. If you’ve mentioned or quoted someone in a post, tag them when sharing it. That way, you’ll give them proper credit and make sure they see your content and probably share it with their own audience. 12. Building an audience on social media helps you meet people where they are. “You can have the best product or service out there, but if people don’t know about it, you can give it up. ‘Build it and they will come’ doesn’t cut it in today’s competitive marketplace. You have to be proactive and reach people where they are. “And where are the majority of people? Social media. In fact, Facebook has nearly 2 billion users. “With the number of people on social media, its worldwide reach, and its ease of sharing, social media is a great way to build your web presence and quickly build an audience. If you want to be found among the millions of sites on the web (and the 571 new websites being created each minute), you’re going to have to up your social game. 13. You can even leverage social media to gather intel about your target audience. “Having your market laid out across the internet makes it a lot easier to gather information and understand how major players are operating as well as which way trends are shifting. 14. Share content on social media to help Google find it faster. “When you publish a page online, Google doesn’t see it right away. This means that it isn’t ranking in the search results. 17. Cultivate a robust social media community to increase shares and engagement. “A larger community means more eyeballs being exposed to the content you’re creating and a higher likelihood that this content will be shared. 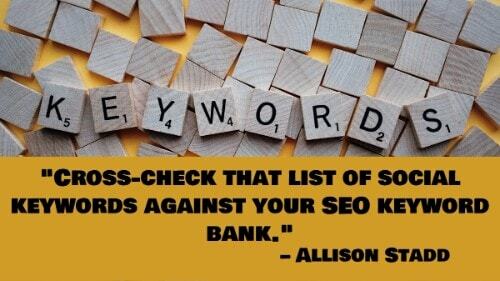 This increases the number of backlinks leading to your site which will help with your ranking. 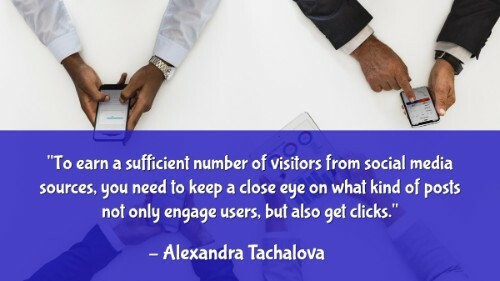 “Also, the more engagement you have around your social media activity, the more likely people are to search for your brand on Google via branded searches. Branded searches can help your site get ranked for non-branded keywords that are related to your brand and the service or product it offers. 18. Focus on gaining references from accounts with good reputations. “Just as search engines don’t count all links equally, they don’t view all social accounts as being the same. This makes sense, since anyone can create a new account on a social network. What’s to prevent someone from making 100 different accounts to manufacture fake buzz? “Nothing, really, other than the fact that fake accounts like these can often be easy to spot. They may only have a handful of ‘quality’ friends in their network, and few might pass along material they share. 19. Strike up conversations with your social media followers – it matters! 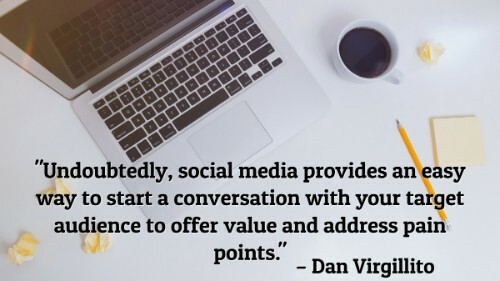 “Undoubtedly, social media provides an easy way to start a conversation with your target audience to offer value and address pain points. Launch inquiries, post useful tips, start a general discussion and reply to the audiences’ comments with helpful tips. “Then, engage people in the conversation directly. 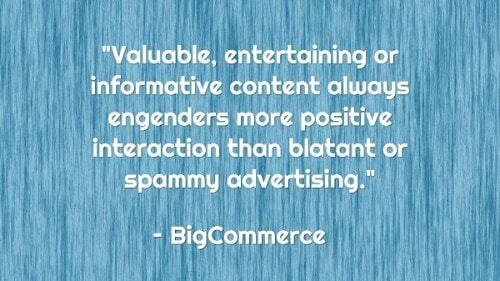 Such engagements are key to creating and retaining an interactive community. Social media SEO would encourage your existing customers to return while helping you develop authority for potential ones. 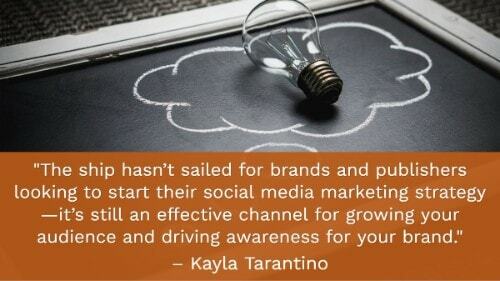 Not to mention, a satisfied audience would be willing to spread the word about your company. “When implementing this tactic, you can also capitalize on the immediacy of response, which 72% of customers listed as critical. 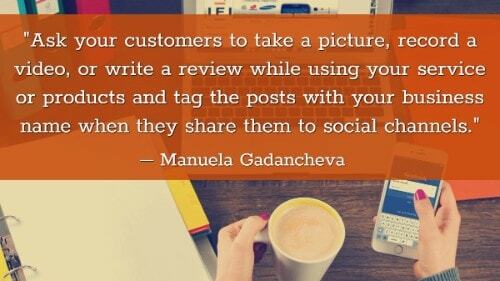 Fast response will increase the willingness of people to recommend or praise your brand on social media. 20. Use share buttons to encourage readers to share your content, but place them strategically for the biggest impact. “You need to select which share buttons you display and the order you display them based on your audience. It’s easier to encourage sharing behaviors on the websites, communities, forums, and social networks that your audience is already using. “It doesn’t matter whether or not your brand has an active marketing presence on the site — the key for driving reader engagement and sharing is focusing on where your audience hangs out. 21. Don’t get too hung up on the SEO benefits. Social media has its own perks aside from SEO value. “Whether or not Google or Bing count social metrics as direct ranking factors is somewhat of a moot point. Social media and SEO should be working together, sharing content or utilizing engagement metrics as data for future content creation. 22. Use social media to boost local SEO. “Social networks can be difficult to integrate into a local brand SEO strategy. However, with careful thought, you might find an interesting and engaging way to use such platforms to further your conversion goals. “Keep in mind that new social networks turn over quickly, as most have an inherently short life cycle. Yet this natural ebb and flow allows for immense opportunity in local branding. When new networks arise with unique capabilities, be the first company locally and within your industry to capitalize on the excitement of a new digital service. 24. Don’t forget your #hashtags. “Make sure you are using hashtags that people are searching for. It’s not helpful to use a really clever hashtag if no one is searching for it. “When searching, use the native search box within the social platform. Or you can use a program such as Hashtag.org. 25. Share your content across your social channels to improve findability and boost interaction. 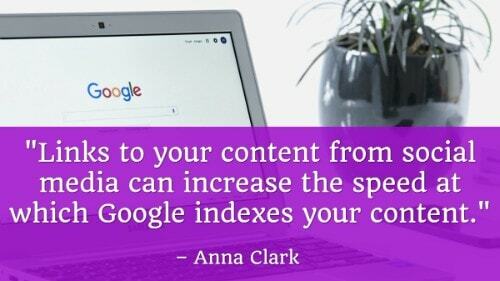 “Links to your content from social media can increase the speed at which Google indexes your content. That is, if you share a post right away, it can show up in search engines much faster than when it isn’t shared at all. “Sharing content has the obvious benefit of bringing traffic into your website. When a page has a lot of traffic, Google can see it. The traffic shows that the content is valuable, and helps to push that particular page further to the top of search engine results. 27. Twitter is especially prominent in Google’s SERPs. 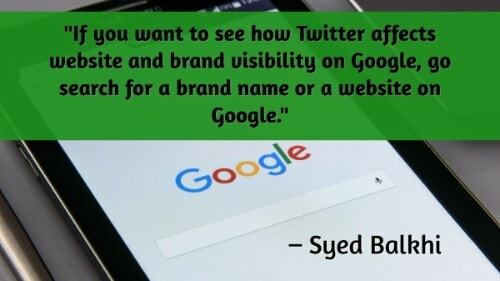 “If you want to see how Twitter affects website and brand visibility on Google, go search for a brand name or a website on Google. “You’ll see the Twitter stream of that particular brand pop up on the main page of search results showing the latest tweets from that page. 28. Getting your social media profiles to rank helps you dominate the SERPs (particularly for brand searches). “The ideal scenario is to have your website and social profiles dominate the first page of your branded SERPs. 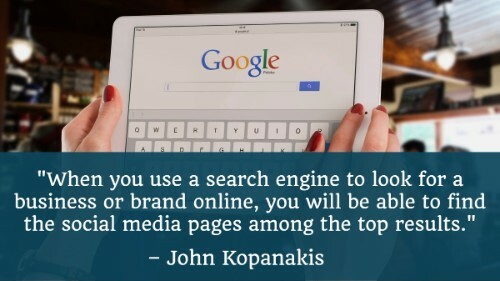 This is great because it’s all assets that you own, which will help you control what searchers see and your brand perception. 30. “Social SEO” isn’t a separate branch of SEO, but it is an important strategy consideration. “You can get good rankings by paying no attention at all to social SEO, but you can’t rank your business’s website through social SEO alone. So, why bother with social SEO then, if it’s not essential? Because positive social activity around your website makes it easier/faster to rank your site in search engines – directly through the authority that search engines give to Likes, Tweets, and Google +1s, and indirectly through exposing your content to a wider audience, some of whom will link to it from their own sites. “Social SEO isn’t a separate branch of SEO and it won’t soon be replacing traditional SEO, but social signals are becoming increasingly integrated into search engine algorithms. Social signals aren’t as important as backlinks, and they won’t be for a long time, if at all. But backlinks aside, social signals are about as important as anything else. Over the course of the last year or two, the question is no longer ‘do social signals have an effect on website rankings?” but rather “how much of an effect are they having?’. 31. 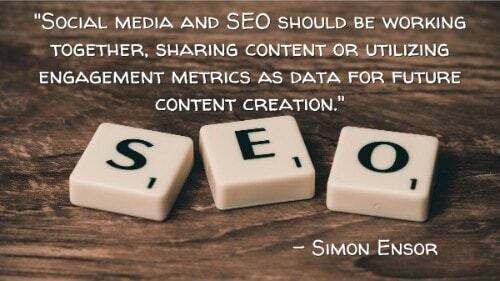 SEO data can inform a smart social media strategy. 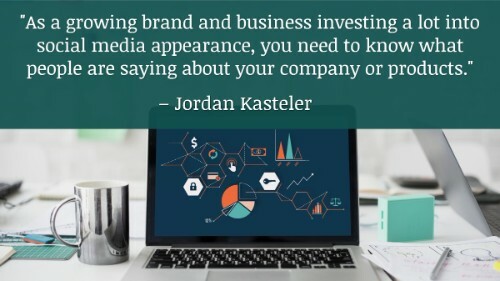 “As a growing brand and business investing a lot into social media appearance, you need to know what people are saying about your company or products. To find that out, you can use different monitoring tools such as Mention or Google Alerts. However, to set the alerts correctly, you need to understand which search terms are being used. “This is where SEO gets into the game. It’s important to determine the most frequent search queries related to your niche. This data helps interpret the social community’s most urgent concerns. “Often, the best insights come from discussions about your niche overall, but not a specific product. In other words, you need to search for the keywords you want to target in organic and paid search and use them to track social media awareness. 33. With social media platforms like Facebook diminishing visibility of companies and brands, SEO (as well as paid promotion) is becoming critically important for driving traffic to your social channels. “With Mark Zuckerberg stating that users will be seeing ‘less public content like posts from businesses, brands, and media’ in their organic newsfeeds, we expect other major players may follow suit with their own algorithm changes. Social media will, in fact, be social again. “While visibility for publishers and brands will decrease organically (as it has been for some time already), this trend puts extra emphasis on the importance of having a paid strategy for promoting your content on social media. 34. Applying SEO practices (like keyword optimization) to social media increases discoverability when users search social platforms like Facebook and YouTube. “Blog posts, guides, whitepapers, case studies, videos, and social posts all need to include the right keywords for social and SEO. SEO is not just Google. Search is everywhere on the web. Social media platforms are becoming just as big in search. YouTube is the second largest search engine after Google. Like Google, it indexes content and provide search results based on your search queries. “Similarly, Facebook is a search engine that indexes user-generated content e.g. social media posts, conversations, and news feeds. Because of this, you are able to search any topic and Facebook will get results based on what is on the web and the discussions around it. 36. Integrate social into your website. “Social sharing tools should be integrated in your site architecture. Include direct web links to your social media channels from your website and from your social profiles back to your website. You can also add social media buttons to individual blog posts. 37. Make all essential info about your brand readily available on your social media profiles. 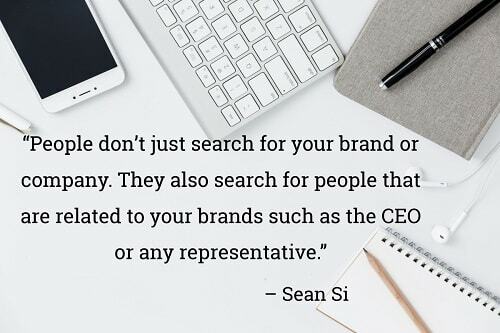 “People don’t just search for your brand or company. They also search for people that are related to your brands such as the CEO or any representative. Which would entail that if any user searches for a person in any search engine, the top results would be that specific person’s social media profiles. “Basically, all your social media profiles should possess the necessary information any user wants to know, from your position to what you can do for them. If there is a chance that a user happens to find your social profile, and it does not contain any information that is beneficial to them, then there is a high chance that they will opt to go for your competitor just because they have the necessary information on their social profiles. 40. 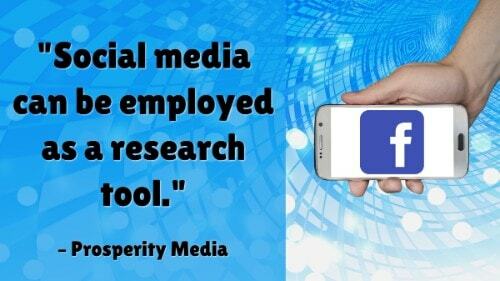 Nurture your social media presence the same way you do your search presence. “No longer can we view the algorithm as a sterile and lifeless entity to be gamed, tricked, and cajoled by our clever SEO tricks. We must now realize the enormous impact of the social web. “The web is comprised not merely of bits and bytes but of people, organizations, groups, causes, ideas, and human energy. We’ve observed that with Apple’s popularization of speech search (e.g., Siri) and Google’s Hummingbird update, even the style and syntax of search has a human, or conversational, element. 41. An effective social media strategy needs a solid SEO plan. 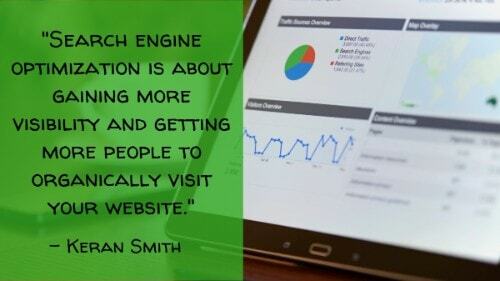 “Search engine optimization is about gaining more visibility and getting more people to organically visit your website. Social media marketing on the other hand, is about making the most of social networks and getting found by the right people. They both might look different but have overlapping goals. In essence, they work together. 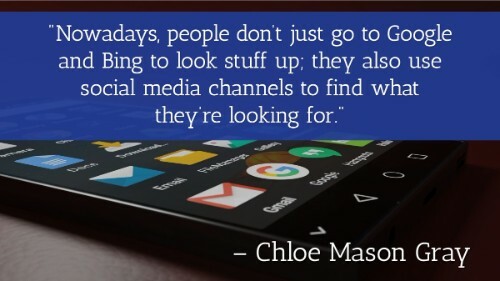 This is why search engines are becoming more social, and social networks are turning into valuable search engines. 42. Make smart use of social media meta tags. “Social media meta tags or social tags are HTML tags that start with the word ‘meta.’ You put these tags in your page’s code to help determine what information appears in Twitter, Facebook, Pinterest, etc., when people share your URL. 44. Give your social media profiles an SEO boost. “Almost everybody has a social media profile either on Facebook, Twitter, or Google+. Besides getting social and having fun, your social media profiles can positively affect your SEO efforts. The benefit is either direct i.e. more people can find your profile so more people will connect with you and visit your web site or indirect i.e. it’s an extra link pointing to your website from your profile. 45. Use Google Analytics to measure social SEO factors like the number of owned and positive results. 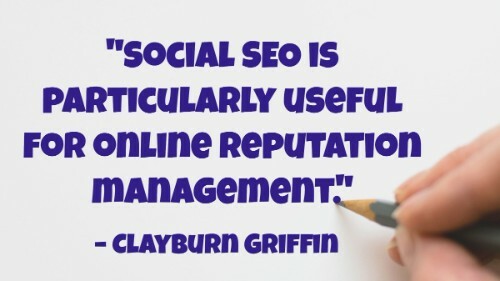 “Social SEO is particularly useful for online reputation management. You can use social media to promote and improve the position of positive content and keep negative results down, should any exist. “To measure this one, decide on your keywords to watch. 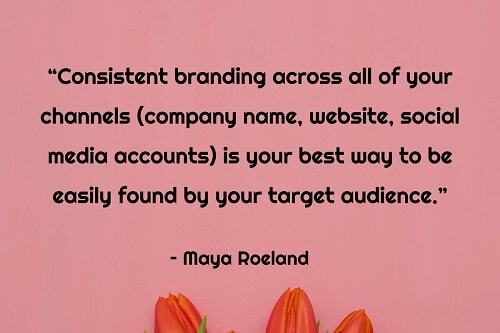 This will typically involve your brand name and high level variations such as ‘brand name videos’ or ‘brand name twitter.’ You may have good reasons to throw in some non-branded keywords, but this list will generally be more focused than an overall keyword strategy. “A web search for these terms should return owned results, such as your website, your Twitter, Facebook, Pinterest, etc., along with positive and neutral results. “Track the number of owned and positive results on the first page or two of search engines once a week and chart progress. This metric should change significantly – say, from 2/20 to 15/20, over the course of an effective social SEO campaign. 46. Use SEO practices to optimize your social media posts. “To optimize your social content, always include some of the relevant search keywords you determined for your business in your Facebook updates, tweets, pin descriptions, etc. It’s important to remember to share content from your website or blog socially to give it an SEO boost too. Sharing new content on Twitter is especially important because it helps Google index it faster (indexing means Google adds this URL to their database). 47. 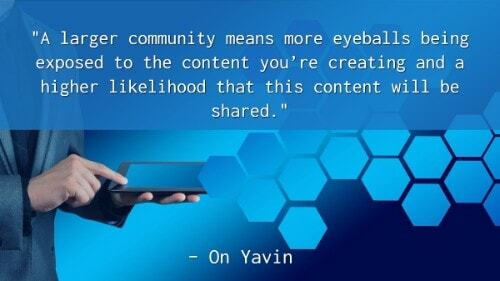 When creating SEO content, keep the social layer in mind. 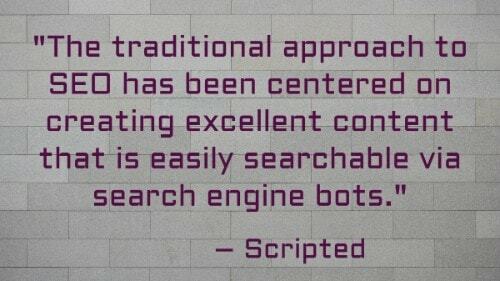 “The traditional approach to SEO has been centered on creating excellent content that is easily searchable via search engine bots. To be clear, this approach is still perfectly valid. 48. Create assets to complement social media campaigns just like you create assets specifically for SEO and other purposes (think landing pages and similar assets). “You can significantly upgrade your social media marketing returns by creating assets specifically designed to complement social posts. “For instance, you can create a lead-capturing landing page for specific target segments to use with targeted promoted social media posts. That way, your call-to-action can take 18-year-old college students to a different page with different appeals than your page aiming to convert 70-year-old retirees. “You can also create assets that you know will perform well on social, such as infographics. Infographics get around 41.5% engagement, on average, making them the content with the second-best ROI behind video. 49. 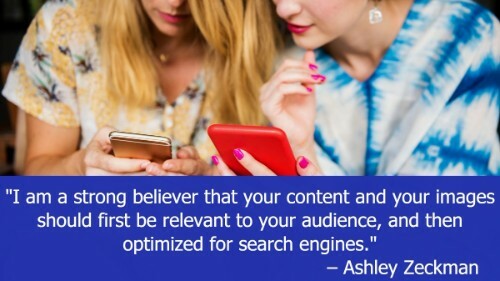 Optimize your social media posts for searches. “This strategy also relies upon pre-existing content, but it opens a secondary channel for search. In addition to news articles and Knowledge Graph entries, Google also tends to favor popular social media updates in the top sections of its SERPs. It’s a key, somewhat temporary position you can attain by making sure your posts are optimized for the opportunity. Want to turn up the heat on your website’s SEO ranking? Social sharing buttons make it easier for your audience to amplify and share your content, thereby increasing the awareness of your company’s brand. More backlinks, click-throughs, and landing page impressions will help elevate your web presence on search engine result pages while increasing audience engagement. Get your ShareThis share buttons and amplify your digital content now!